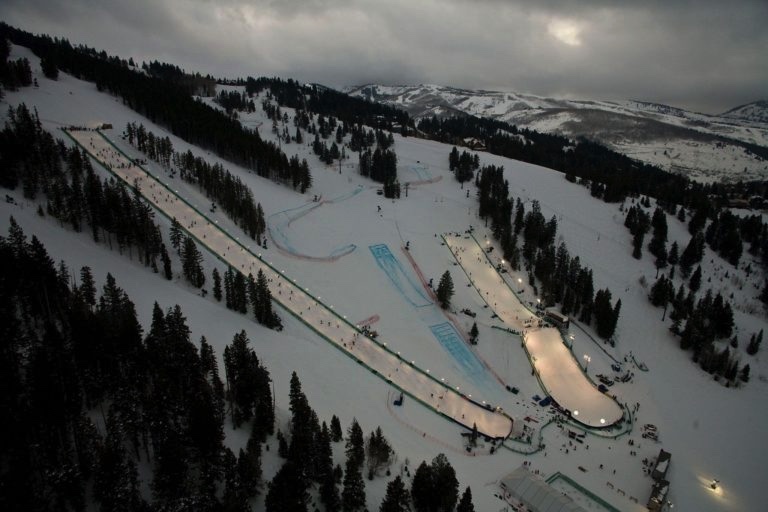 There's a Montana secret to the Deer Valley World Cup moguls course in Utah. That's Tony Gilpin, Head Moguls Coach for the Bridger Ski Foundation, and the go-to man for building moguls courses in North America. Tony, often considered one of the founding fathers of freestyle in Montana, started competing at the age of 11 as part of the Wild Style Freestyle Team, before it became a part of the Bridger Ski Foundation. He went on to spend several years on the U.S. Ski Team and began coaching for BSF in the early 90s. Tony skiing moguls, back in the day. For the last 10 years, Tony has also been the Chief of Course for the Deer Valley World Cup. But 2019 is special; Park City is hosting the FIS World Championships for Freestyle, Snowboarding, and Freeskiing. It's the biggest winter event they've hosted since the 2002 Winter Olympics, with over 55,000 spectators expected. This week, Tony is at Deer Valley Resort leading the moguls course build. After working with a snowcat driver to put the snow in place for each bump, he'll lead a crew of volunteers that then shapes each mogul by hand, with shovels, often breaking up ice chunks. It takes days to achieve the perfectly spaced bumps and jumps that make up a championship mogul run, and the Deer Valley World Cup courses that Tony has built over the years are known far and wide as being the best courses in the world. With this being a World Championship year, BSF Freestyle Program Director Mike Papke says they are encouraging BSF athletes to attend the event as spectators. Opening ceremonies are February 2nd and Freestyle moguls finals on February 8. So whether you're watching the World Championships on television, or just staring at the moguls course on Bridger Bowl's Bronco, remember that BSF Coach Tony Gilpin is behind it all. 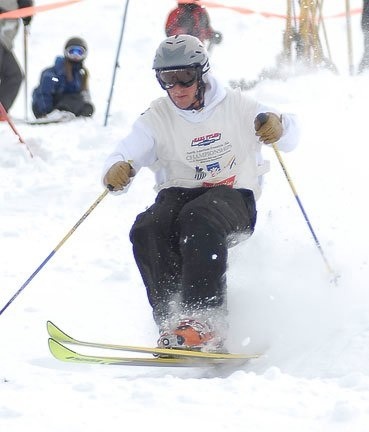 In addition to coaching, Tony is the parent of two BSF skiers in the Freestyle program, and he's the owner of Gilpin Gutters, with over 20 years of guttering experience.